Century has added a star reference system as a way to quickly understand the relative value of each item. Five stars represents Century's highest specification of construction and design, in many cases a hardwood frame and the most labor intense upholstering process of four-way flow matching of fabric, while three stars represents our starting value construction, an engineered, ply-hardwood frame and front to back flow matching of fabric. Of course, all of our pieces are masterfully upholstered and finished and come with the same promise of superior craftsmanship, quality and comfort. Authentic Spanish-Mediterranean styling. 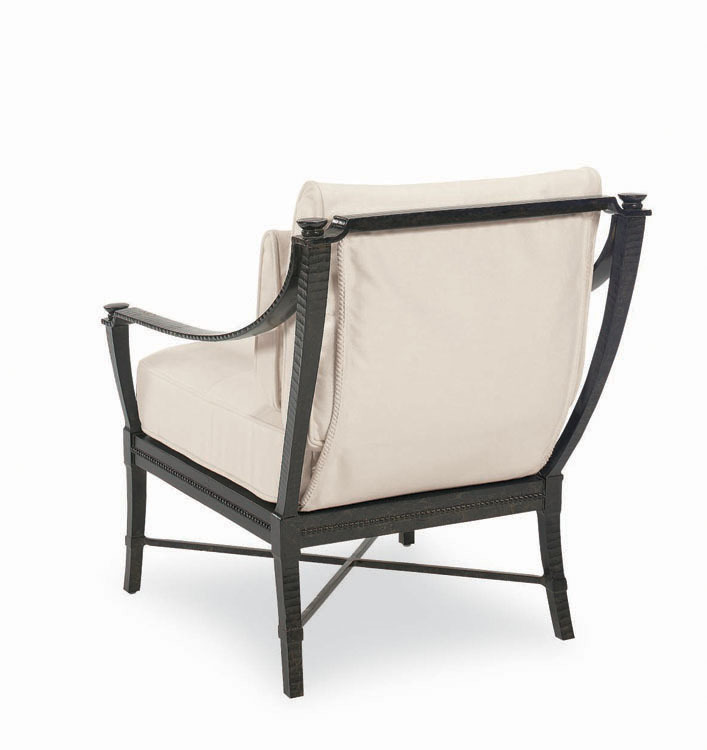 This lounge chair has a hand-made, sand-cast aluminum frame which has the look of hand wrought iron. It is finished with a weather-resistant, multi-step antique powder coat. 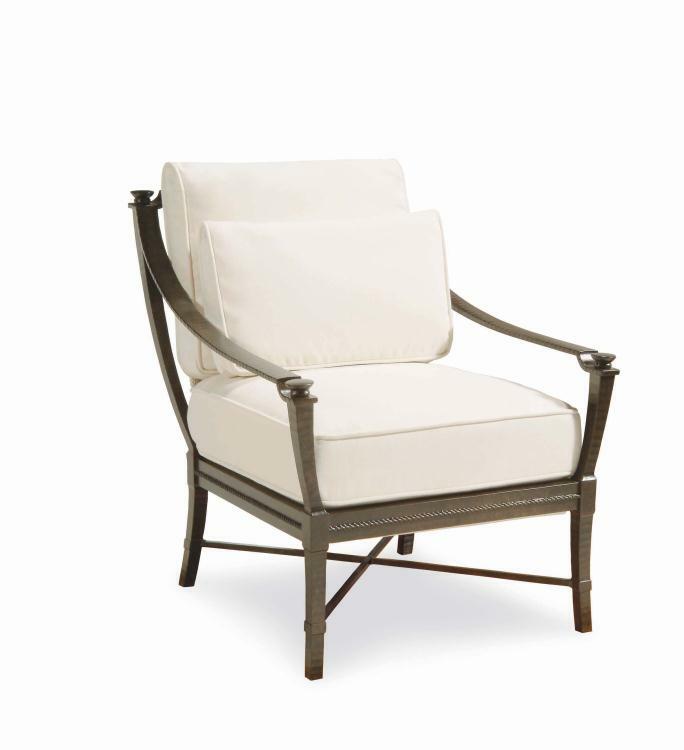 Indoors or out, this will be a comfortable accent chair for any space.